Examtime is a great way to study differently. I shared StudyBlue awhile back and examtime is a lot like StudyBlue along with some more features to help students study and collaborate together. 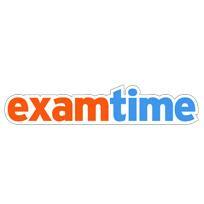 Examtime allows teachers and students to create mindmaps, quizzes, flash cards, and notes. There is also an option to create groups. This allows teachers and/or students to share their study materials with anyone they choose. I think middle to high school students would benefit from this site the most. The video embedded below will give you more information about Examtime.